Several years ago I was teaching a Sunday night series and we were discussing this love for God and for others. When you think about it, if we get these two right, everything else will fall right into place. In the book of James we hear, “True and lasting religion in the eyes of the Father is this; “Take care of the widows and orphans and keep yourself from being polluted by the world.” Again, if we get these two right, everything else will fall in place. 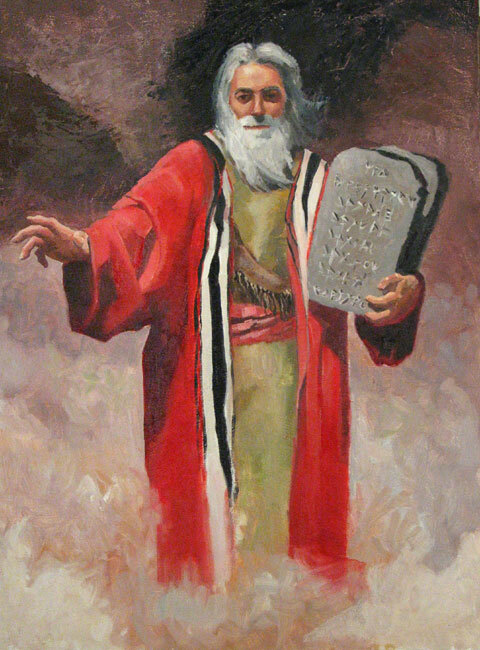 The Ten Commandments simply expand on these to components. I encourage you this week to ask God to help through the power of His Holy Spirit to love God with everything you have and to love your neighbor as yourself. 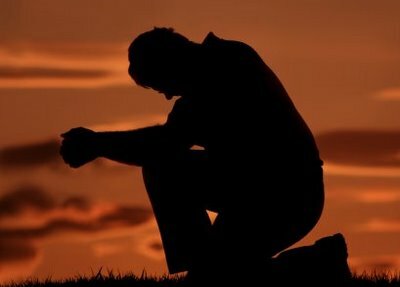 While the main focus of this blog is pastoring in a smaller community and worship, there are times when I comment on current events or even sports. Last night after we finished at church, I went home and had planned to head straight to bed, but that’s when I discovered ESPN was carrying all four games that would determine the final two playoff spots for the the Division Series. It was coming right down to the final game of the season. Major League Baseball had even made provisions if the season did not end last night. There would be a one game play-in today. As the night progress, it seemed certain that that Tampa Bay was going to lose, being down 7 runs to the Yankees. The Cardinals appeared to have their game well in hand. The Red Sox had a small lead over the Orioles and the Braves were up by one over my hometown team. Braves knew they had to win. The Phillies came back in the top of the 9th to tie (and for the most part, this game was my focus.) I was really hoping the Phils could win three straight going into the playoffs. During commercials I would change over to the Yankees/Rays. The Red Sox/Orioles game was blacked-out on ESPN in our market because it was on MASN, which we currently don’t receive. The Phillies took their game into the 13th inning and finally scored. It was just a matter of holding off the Braves in the bottom of the 13th. All of a sudden, things got interesting. The Rays scored 6 runs in the bottom of the 8th and tied the game in the bottom of the 9th. Now two games were in extra innings. This was getting good. 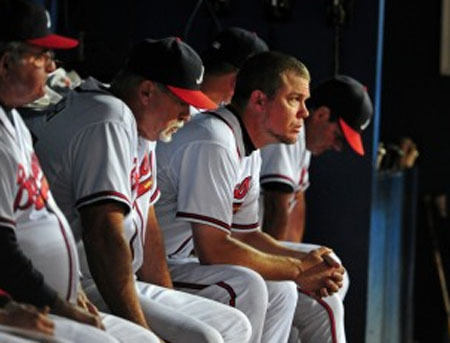 The Phils finally beat the Braves and you could see the look of players whose season had slipped completely out of their hands. This was an historic collapse, much like the Phillies of 1964. I was much too young at the time, but I remember hearing stories of it. Can you imagine how the Braves felt? You could see the disbelief on their faces. They had almost an insurmountable lead in the Wild Card race and yet the Phillies will be playing the Cardinals, who played fantastic ball through the month of September instead of the Braves. Now it was time to watch to see how the American League would shake out. The Yankee and Rays also went to extra innings. Boston and Baltimore were now playing again. It was now nearing midnight. With two outs in the bottom of the 9th, the Orioles got a man on base. Before long the Orioles had scored and tied the game. I could hear the Rays fans getting all excited. Not long after, I could hear the cheers as the Orioles scored a second time, defeating the Red Sox in the bottom of the 9th. Now it was all in the Rays’ hands. Almost as soon as the Red Sox went down in defeat Evan Longoria took a pitch over the short (both height and distance-wise) wall in left at Tropicana Field and the Rays win. For the second time in just under an hour another team completed an historic collapse. There was a point earlier in September that the Red Sox had a 99.6% chance of making the playoffs and yet with the 3rd highest payroll in baseball, they didn’t. 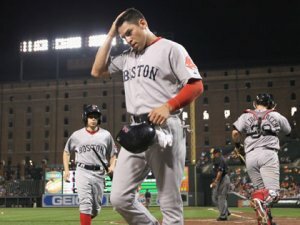 The 2011 Braves and the 2011 Red Sox join the ranks of the 1964 Phillies collapse. It was interesting to listen to the sports commentators — it was interesting to listen to the interviews — how could this happen? It wasn’t supposed to end this way and yet it did. As I watched all the drama unfold, I was reminded that our lives can be like what happened last night. I know that since I have been running, I understand more now the concept of finishing well. You can’t go out too fast or you won’t have the strength to finish — you must pace yourself. Both teams were in a great position coming into September. All they had to do is win half of their games and they would finish with a Wild Card birth and yet in both the Red Sox and the Braves’ case, that didn’t happen. I know that I needed this reminder for my spiritual life last night. It is an important reminder that we need to finish well. We need to keep pressing forward. It’s great to look back on the accomplishments we have made – and it’s ok to do that, but we must always keep our eye on the prize — both in our regular life and in our spiritual life — which by the way should be one and the same. So the question is today, are you pressing on? Are you keeping your eye on the prize? That is the only way that we will finish well. Until Your power is shown. Sweep over all Your own. Till ease we cast aside. If souls but reach Your side! Make bare Your holy arm. Or to this age conform! Till Satan’s forts we storm. O Lord, may we not fail. Till highest mounts we scale. Have mercy on our dying race. Terrace Crawford shares important things youth workers can pray for this generation. via 10 Things to Pray for Today’s Teenager. Remember that the Christian life is fundamentally a love relationship with God out of which issues a life of worship and service. It is a life of giving. Worship is not something you get, it is something you give! Worship does not begin in the worship service; worship begins in the heart.